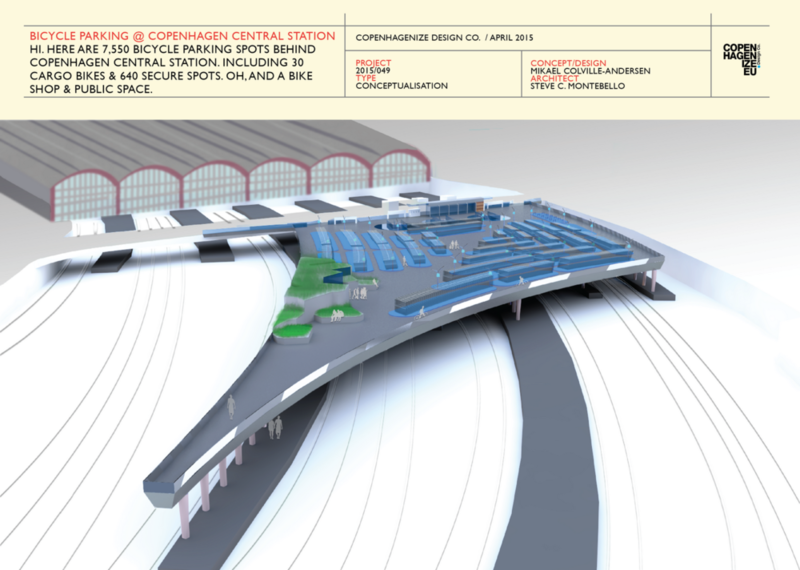 Central Station parking — Copenhagenize Design Co. 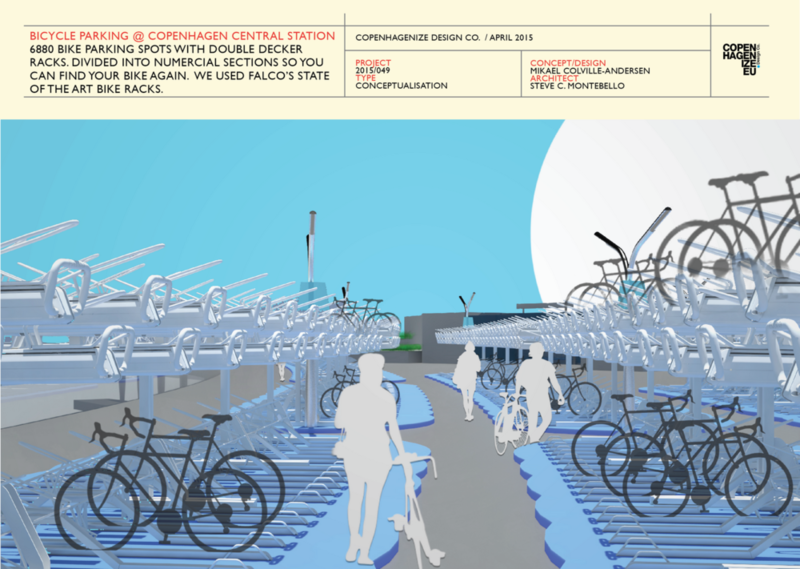 In 2009, the City of Copenhagen announced a bike parking facility behind Copenhagen Central Station. The idea disappeared from the radar and nothing was built. No visualisations were produced. 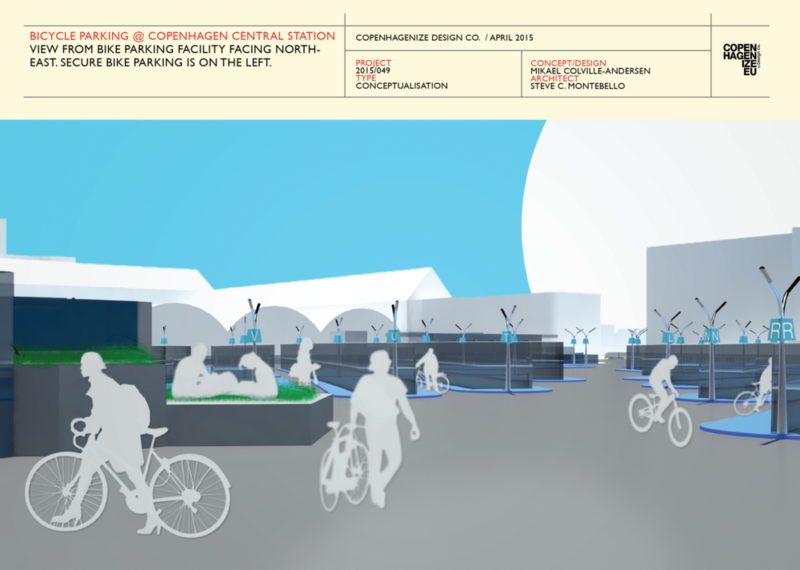 So, in 2015, tired of waiting for action, Copenhagenize Design Co. decided to design it in-house. Exploiting the space above the train tracks, our resident architect designed a facility with over 7000 bicycle parking spots, including 30 cargo bike spots featuring The Copenhagenize Bar, 640 spots in a secure building, a bike shop and the world's first dedicated lookout point for trainspotters.